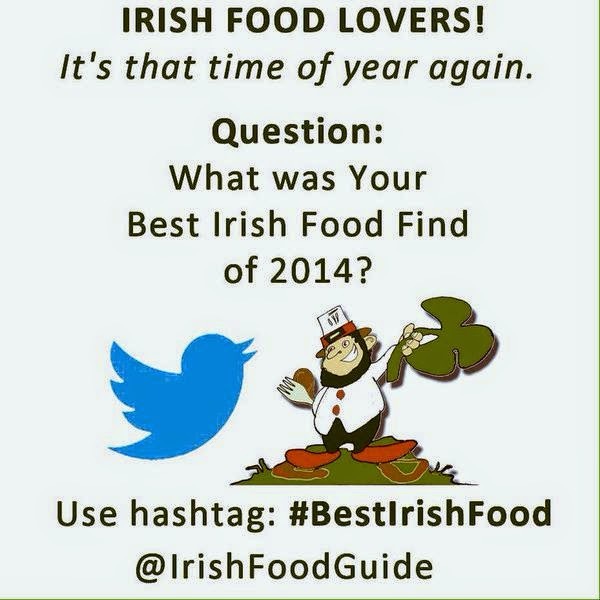 Every year, around Christmas Eve - I ask a question on Twitter... "What was Your Best Irish Food Find of the Year?" I get hundreds of replies from food lovers all over Ireland and this year was no exception with the replies pouring in all over the days of Christmas and New Year. I collate all the suggestions for great new foods from all over Ireland on a spreadsheet and from that I create the Top 20 Best Irish Foods to Watch Out For in 2015! There have been an amazing amount of new food businesses set up over the last year and many new products are being developed by small producers all over the Island of Ireland. Many established small food producers have also been streamlining their product offering and expanding their lines. People are testing their foods at country markets and farmers markets and getting great feedback from customers, chefs and restaurants. This obviously helps them bring a better product to market for us to enjoy. This year, people tweeted about old-style butters, artisan bakers, flavoured vinegars, innovative seafoods, hand-dried salts, top quality meats, hand-made confectionery, unusual dips and chutneys, honeys, crisps, foraged foods and much more! One new food product, above all others, received the most mentions. I'll save that to last! I have included a Twitter Follow button so you can easily follow them to get details of their delicious food products. And so, here are the Top Twenty Best Irish Foods to Watch Out For in 2015 as voted for by you, the food lovers on Twitter, all over Ireland! Food Lover and artisan baker Thibault Peigne is passionate about baking bread and uses the finest organic ingredients and traditional methods. 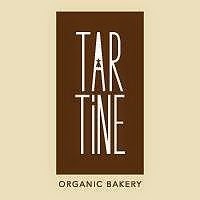 He has created Tartine Organic Bakery to make freshly baked sourdough breads, french pastries and cakes. A range of improperly delicious, Irish flavoured butters that inspire creativity at mealtimes, made by Elaine Lavery and Hannah O'Reilly. 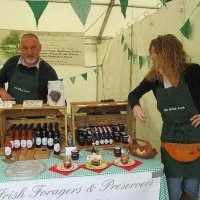 Fiona and Malcom Falconer produce a wide range of artisan chutneys, preserves, syrups, seasoning rubs, cocktail bases and wild pestos made from foraged and homegrown ingredients. 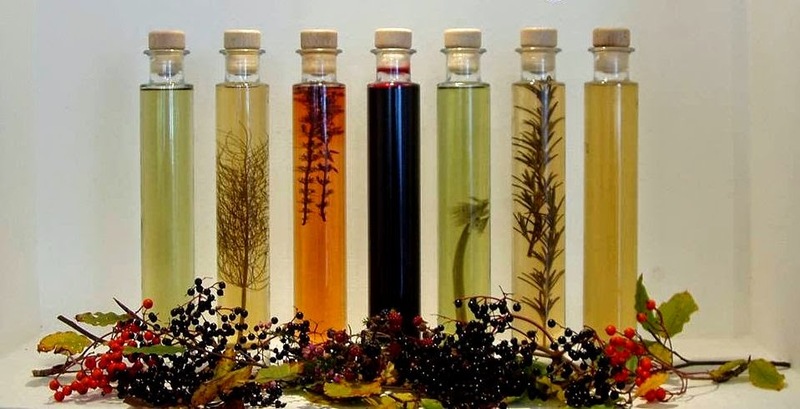 They specialise in native wild ingredients like nettles, hips, haws, sloes, damsons, elderberries, crab apples, rowan berries, guilderose and whatever else is in season. 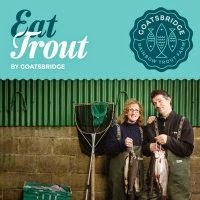 Fresh Trout, Smoked Trout, Trout Pate, Trout Caviar and more are all farmed, processed and produced on the banks of the Little Arrigle River by the family of Mags and Ger Kirwan. They have a passion for trout, which comes across in the quality of their product. 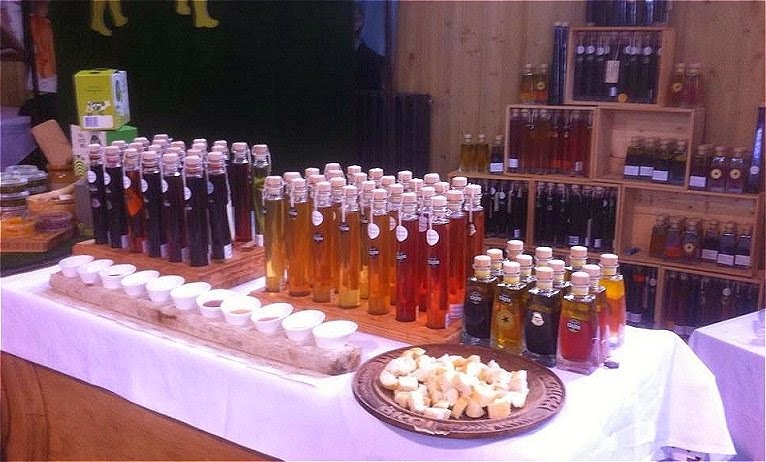 Sharon and Gordon Greene create exclusively Wild Syrups, Sauces, Fruit Cheeses, Pontack & more homemade to old recipes using hand-picked ingredients from their Millhouse Farm near Birr, Co Offaly. 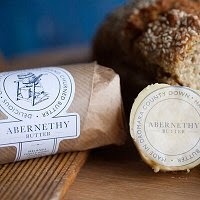 Alison and Will Abernethy make handmade butter from local cream, handmade in churns the traditional way and patted into rolls. It is creamy and slightly salty to give a luxurious creamy taste. They also make fudge. 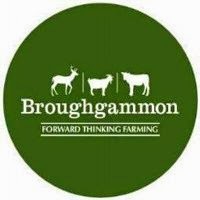 Broughgammon Farm produce Cabrito (Kid Goat Meat), Free Range Rose Veal, Seasonal Game and Hand Harvested Irish Seaweeds. 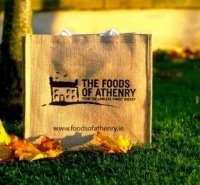 Their ethos is to produce great food locally, sustainably and competitively while balancing the growing requirements for food production with environmental protection. 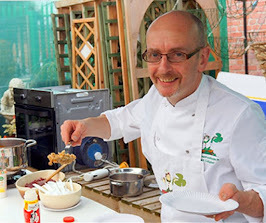 Ken and Paul Moore's award winning 'Red Chilli with Lemongrass and Ginger' is a crowd favourite and the Cork-based Rebel Chilli range also includes the fantastically hot 'Chillionaire' and the sweet 'Jalapeno and Raspberry Jelly'. Tom and Croéin Ruttle are multi award winning producers of artisan Honey and Jams made only with their own Irish Raw Honey. 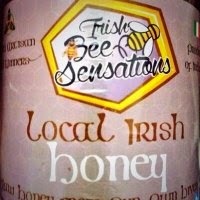 They have a passion for their bees and for the reintroduction of the native Irish Bee. 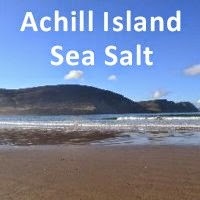 Achill Island Sea Salt was founded as a family business by Kieran, Marjorie and Sean O'Malley in July 2013, reviving the age old tradition of salt production on Achill Island, creating a sustainable and pure artisan product, which has received critical acclaim from chefs and cooks alike for its appearance, texture and taste. In 2007, French chef Franck Pasquier retired from restaurant kitchens to set up Le Fournil Artisan Bakery in Donegal Town & Sligo. 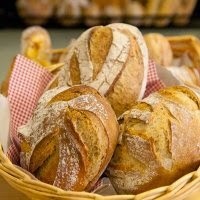 He bakes superb sourdough breads, patisserie items, tarts, croissants & much more. He also supplies the breads to Clotilde Rambaud and Tomasz Giderewicz at Le Fournil in Sligo town. Clotilde makes all the patisseries and chocolates in the Sligo store. The Dunne family have been farming in Enniscorthy for nine generations. 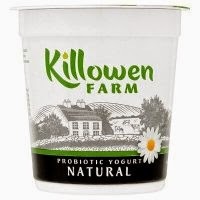 Their award winning yogurts are gluten free, low in sugar, naturally low fat and contain no artificial additives. Everyone says they taste great! 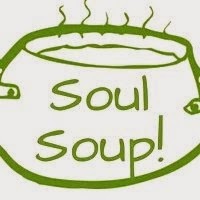 Lloyd Hamilton-Felton wanted to bring the healthiest and tastiest soups possible to soup lovers all over Ireland. 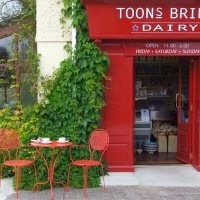 He is now supplying some of Dublin's best artisan cafés and health shops. Keoghs Farm say they produce Ireland’s only “hand cooked on the farm” artisan potato crisps. The family have been farming their potatoes for over 100 years and their crisps have become a favourite at home and abroad. 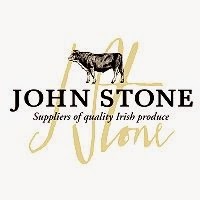 John Stone comes from a very long line of butchers and has been at the forefront of gourmet meat production for almost fifty years. His meats come from small manageable farms and he believes that the natural lifestyle of the cattle gives his meat it's unique and delicious flavour. The old milking parlor on the Lawless family farm is now the bakery where they bake wheat and spelt soda breads & bread mixes, scones, cakes and pies as well as a range of Gluten Free breakfast cereals, cookies, crackers, flapjacks and cakes. 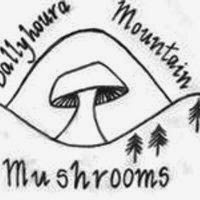 Ballyhoura Mountain Mushrooms produce a wide range of foraged and cultivated speciality mushrooms and also a selection of handmade artisanal mushroom products. However, it was their Shiitake Dust which caught the imagination of so many people this year. This Powdered Irish Shiitake Mushroom delivers delicious buttery and umami notes making it perfect for seasoning meat, fish, vegetables, gravies, soups & sauces. The first Toons Bridge buffalo calves arrived in the early spring of 2011 but their buffalo mozzarella took almost two years to perfect. A joint venture between Toby Simmonds of the Real Olive Co. and his neighbouring farmer Johnny Lynch, the dairy is now producing Buffalo Mozzarella Balls, Ricotta, Halloumi, a salty Greek-style cheese, Cachocavalio and smoked Scamorza cheeses. From time to time, milk quantities allowing, they also make buffalo milk yogurt and butter. And Ireland loves it all! 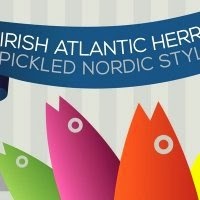 Kirsti O’Kelly pickles Irish herrings according to traditional family recipes handed down from her mother and grandmother in her native Finland. She marinates the fish in a combination of mild vinegars and spices which dissolve the herring bones and keep the integrity of the fish flesh allowing it to take on the subtle flavours of aromatic spices like mustard seeds, sandalwood, cinnamon, bay leaves, cloves, pink peppercorns and fresh herbs such as dill, tarragon and coriander. 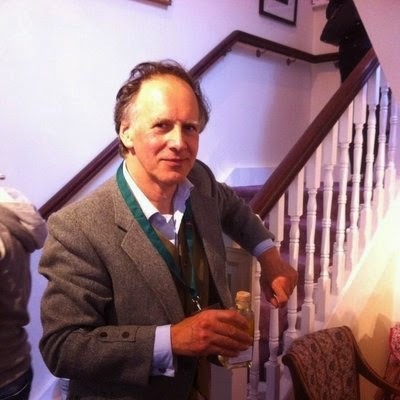 Fionntan Gogarty is an artist, vinegar producer, a lover of fine food, poetry and the wild rugged west of Ireland, an organic farmer, a dry-stone-waller, a beachcomber and an innovator. He is indeed all of these things! 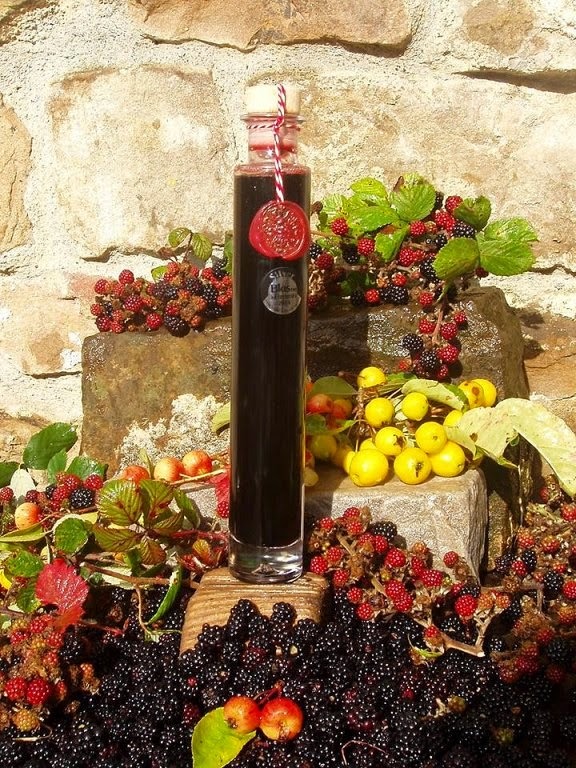 Wildwood Vinegars, based in the little village of Rathlackin, near Ballina in County Mayo, are a unique range of foraged wild fruit, herb, berry and blossom infused vinegars that unlock the hidden magic of nature's flavours and essences. 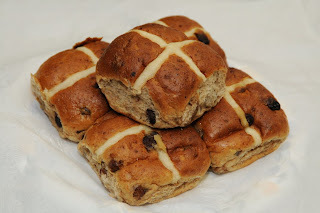 Fionntan has only been producing them for less than a year but already they have been received with rapturous delight by all who have tasted them and have won several awards. The fruity and flavourful vinegars are used for sauces, salad dressings, marinades, desserts and chilled as an alternative to sorbet or even added to soda-water for a refreshing soft drink! If ever there was a product that gives you a true taste of the best of Ireland, Fionntan Gogarty's Wildwood Vinegars are just that! It's no wonder that so many people all over Ireland tweeted that this product was their Best Irish Food Find of the year. 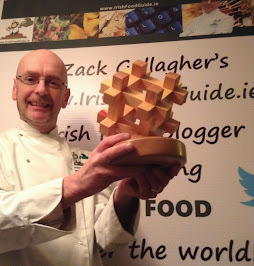 Congrats to Fionntan and everyone else that made to Top 20 Best Irish Foods to Watch Out For in 2015. 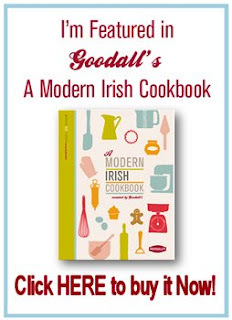 We look forward to another great year for Irish Food! 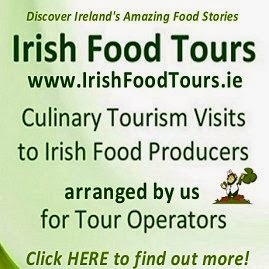 Would You like to Represent Irish Food Overseas?